Well its been a few years since Monique and I took a fly-in trip, having the camp has somewhat dulled the necessity. However we decided this winter that a return visit to Kesagami Lodge may be in order. The drive up was pretty uneventful, we did manage to see a couple of moose, one by Marten River and another North of Kirkland Lake. It was a long drive as our high school reunion was the night before and both Monique and I we're dragging our butts a bit lol. I love this sign just north of Kirkland Lake, lets me know we are headed in the right direction. and of course, when ya see the Polar Bear you know you have arrived. The next morning were up an at 'em, a little tired , but on our way!! The flights up start at 7am and we were on the first one. Our plane was a 1950's vintage Beaver piloted by Capt. Ron!! So up we go and in about 45 min (great tail wind) we were landing on Kesagami Lake. I love the fact that in 40 min of flying you can see the vegetation and terrain go from typical northern Ontario bush to large expanses of small pines and swamps. Off the plane we go and were greeted by Charlie and the Dockhands, whisking away our gear and beginning the full Kesagami Treatment!... Fishing gear stowed in our boat and luggage brought to our room while we eat a bacon and eggs breakfast! After breakfast we ventured out on the lake alone as our guide was scheduled for us for the next day. I asked about some spots close to the lodge, grabbed the map and GPS and headed out! 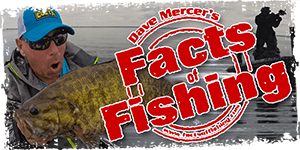 We were trolling weed beds and shorelines for pike, and I was amazed at the amount of pickerel we picked up without targeting them.. even the smaller ones went after the Johnson Silver Minnows that the lodge recommends using. 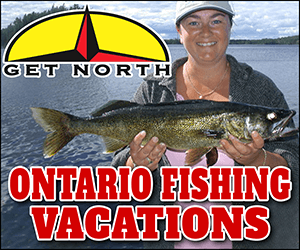 We quit around 5 and that day managed around 36 pike and a couple of dozen pickerel while we were trolling, its nice to go fishing and lose count!! Back at the lodge we went to our room, this time we opted for a room in the lodge. Then out to the lodge for dinner. Our first night was a Roast Turkey dinner with all the trimmings, and of course a bottle of AMAZING red wine. That first night was an early one. After a good nights sleep we were excited to get out with the guide to show us some hotspots!! We were happy to find out that MiketheBassFisher from the board would be our guide. Hes a 1st year guide up there and for only getting started he did a great job for us, showing us spots that would produce for us whenever we wanted a shore lunch. But Mike got us around and onto fish in spite of the weather. We had decide on a shore lunch for that day, and of course its cooked by the guides, so after dealing with the fact that we had a hard time catching pickerel small enough for the lunch (camp policy is that only pickerel less than 18" can be kept for lunch) , there was a break in the weather and mike too us to his lunch spot that was out of the wind so we could eat. I have to say it was wonderful having someone cook for me for a change!! So we stayed outta the wind as best we can and finished our day early. Capt Mike did manage to get us home safely. That night we feasted on Steak and Baked Potatoes. Here's a few pictures of the Lodge, what a nice cozy place to get out of the rain in, staff always made sure the two woodstoves were going and the beer at the bar was always cold! Our server while we were there is also the head of housekeeping, the staff there works very hard and morale sure seemed high, a very nice group of people to be around. We woke up to fog fog and more fog. So we hung out by the fire and had coffee till about 10 am and then bang as quick as it came in, it was gone. so off we went to try out some spots. It was pretty windy so we tried to stay on the calmer side of things and managed some prretty good fishing regardless. As I was cleaning the fish we were invited by one of the other guests to share his shore lunch. The guide happens to be a client of mine that I help promote his fall hunts. He was happy to have us over, and once again I had my lunch cooked for me.. FANTASTIC!! Afterwards we struck out on our own and had a great afternoon. Returning to the lodge meant a dinner of Chicken Breast. With eating the shore lunches we were eating dinner later and later, as the kitchen is open till 8 every night. Every night the dock hands pull up the boats and clean them out and in the morning when they see you coming they bring your boat to the main dock for you. We woke up to an unbelievable beautiful day, the wind had switched around to the south, and a nice warm breeze was rolling in so we decided to check out some of the spots we had heard about on the north end of the lake!! It took us a while to get up there, its quite a big lake, i was very impressed with the boats, all had new 9.9 Yamahas, and we basically toured the lake for the entire day and didn't even use 2 gallons of gas. With shore lunch coming on we had bagged alot of smaller pike, but the pickeral bit had eased off, so we decided to take Mikes advice and we went to his "where to go when ya don't have your lunch spot"
We fished for a few mins with no success until, on my light pickeral rod, I finally got the monster pike we've been waiting for.. lol.. its funny cause we trolled and casted for the big one, and we wound up getting it while looking for lunch (Just like Gary, our previous shore lunch guide said we would..) Hes the reason I had a leader on, thank god. Well, I figured I was gonna be bummed out for the rest of the day, but as soon as that bruiser had left the reef, in came the pickerel and they started to bite like crazy and in about 5 min we had plenty for lunch!! Finally we got to have our shore lunch that I could cook for us!! The breeze had stopped by now and the lake was like a mirror, so we headed for the nearest spot and got to work, we were both starving. Cleaned up the fish and had a couple of cold beverages. After lunch we headed back out to find that the fish continued to turn on, even with bright sun and no wind in three - four feet of water we were cleaning up. Check out this fish and subsequent "release"
As the day wore on and got hotter we toured the lake and kept fishing. That evening was our last there and after a great Dinner of Ribs and Corn on the cob, were hung out at the docks to sadly watch the sunset on our last night there. Up and at 'em, our flight out! As we waited for the plane to come in I took a few photos of the Cabins that are also available. In came our plane... BOO HOOO!! We said goodbye to Charlie, our host who made sure that everything was perfect!! Thanks again Charlie, we will be back! Our trip home was good, lol, alot easier than the one up!. We did manage to get a nice picture of a bear by Kirkland Lake. and that's that! I will say that Kesagami is a great place to hang your hat!! WOW! That's heavy duty, TJ. Ummm, how fast was the moose going when he hit the wall? Been there, done that ... always lots of fun. Charlie is a great guy, though it looks like the gray hairs have begin to catch up to him. Must be all those fish dinners! No. no, no Roy you need to think extensionaly. How fast was the wall moving when it hit the moose. Spectacular report TJ!! Man, did my stomach just growl listening to that shore lunch video!! Thanks for the quick reply on the "hotel NOT to book"!!! That was a fun read TJ. Great way to spend a vacation! They must have a huge potato garden up there! Great report and photos... those walleye look like aliens from the front. Too bad you couldn't squeeze in a few more meals. I vote that the next OFC G2G be held there.Of course, I am willing to pay 1/2 the price as long as the boss picks up the rest. Dang now that was a report thanks for sharing Boss it looks like you were in your own back yard. Wow TJ. What a great vacation. Thanks for the detailed report. Couple of questions. Did you get a new camera? The photo quality is awesome. And, does MiketheBassFisher ever stop smiling?? HAHAHAHAHA now thats funny right there.Good luck with that. What happen to the VALCUN grip? Yup.. I got the Canon T3i, which we used for most of the pictures.. im still figuring most of it out lol. Unfortunately between me and the wife, we had him in stitches all day... Hes a pretty happy dude when he gets to go guiding... even said he may try his hand a pickerel fishing when he gets home! Thanks for the great read...and pics! Great report TJ, another place to put on my bucket list! Well I've had time to read your report more carefully. It's great and that does sound like a super place to park our collective butts in June 2012. Great place, lots of fish, scrumptious food and you had your sweetie with you.....you can't beat that for a holiday. Thanks for sharing your trip. Tell me though, if it was dark and foggy out, what would be easier to see, Mike's Wetskins or his teeth?